It’s time to sell at the speed of mobile. 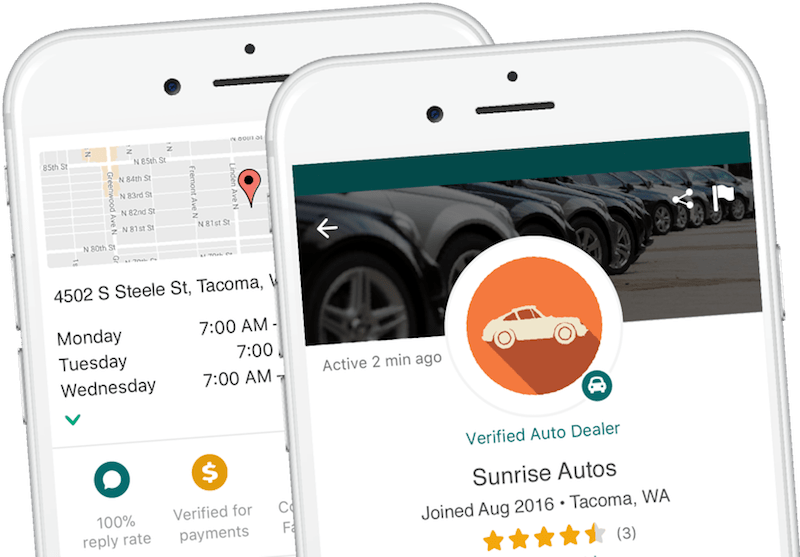 Our Dealership Program provides custom tools to help you sell on the largest mobile marketplace for local buyers and sellers in the U.S. Stand out from other sellers with a Verified Dealer profile that includes an identifying badge, your dealership’s hours and location, and an “About Us” section for details and special offers. Reach buyers at the right time. 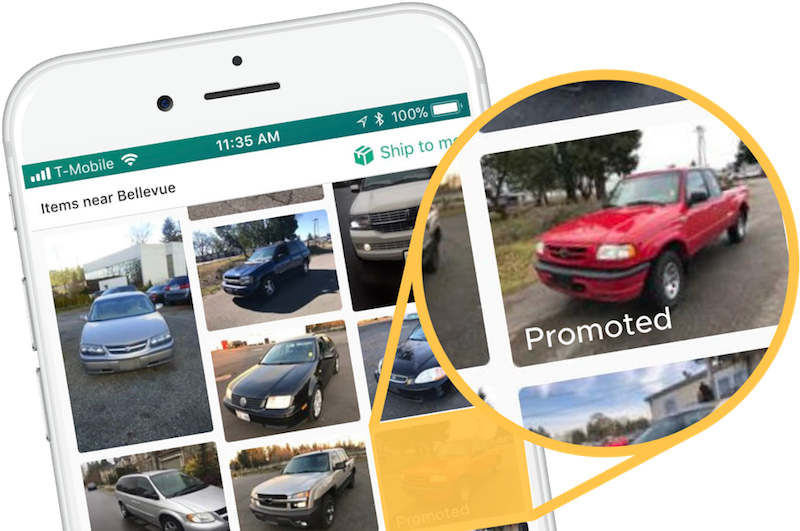 Cars & Trucks are consistently the top search category on OfferUp, and we’ll list your vehicles when buyers are most active in your area. Connect instantly on mobile and desktop. Talk live with real buyers using our instant desktop and mobile chat or click-2-call feature. Easily sync and manage your inventory on OfferUp. OfferUp integrates with all the major DMS tools to make uploading and managing your inventory a breeze. Promote your vehicles with a single click. Subscription ad packages take the headache out of promotion. 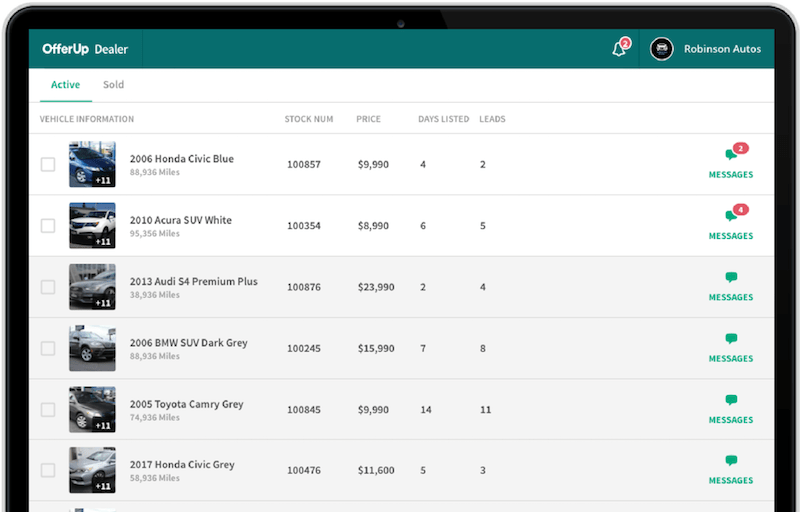 Automatically reach more buyers by keeping your hottest inventory at the top of the OfferUp feed. 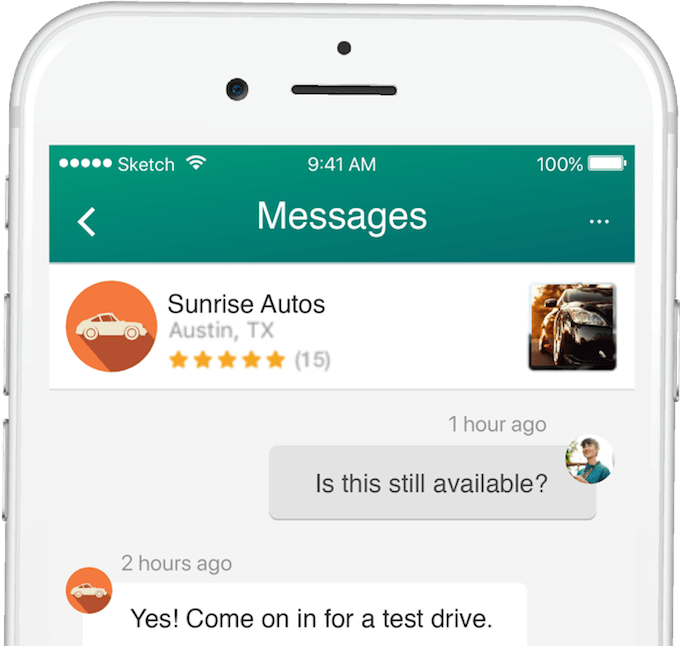 "Our dealership has been using OfferUp as a lead source for about 5 months now, and we get strong leads every day." 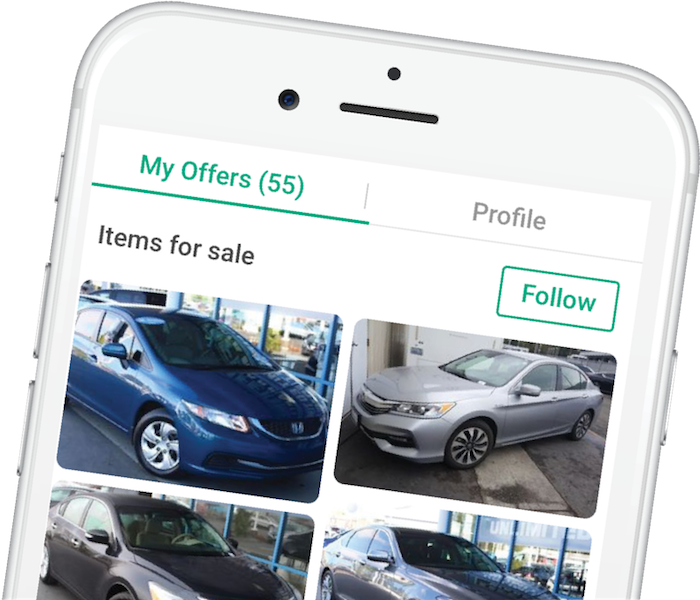 "OfferUp is a great advertising tool for getting customers to see inventory, and it’s created a lot of sales. I will continue to use OfferUp for years to come." "We’ve been using OfferUp for 6 months now, and we’re seeing great results!" We’re making it easier & faster to sell on OfferUp.